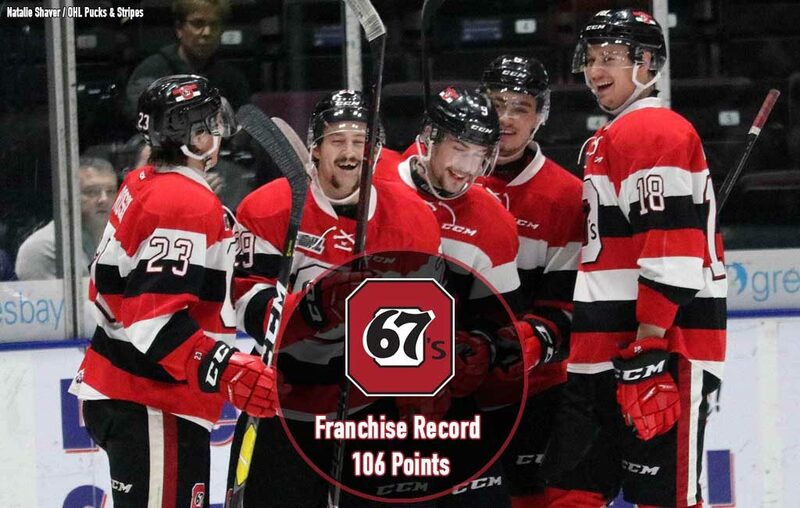 Fans in the nation’s capital may have witnessed one of the best 67’s teams in the franchise’s 51-year history this past season. The Barber Poles collected a franchise record 106 points, claiming their first East Division title since 2012 while also capturing their fourth Hamilton Spectator Trophy as the league’s regular season champion. Tying a franchise record 50 wins set in 1983-84, the 50-12-4-2 67’s surpassed their 1996-97 forebears with the 106 point accomplishment. It marks the fourth time Ottawa has surpassed the 100-point barrier, following past occurrences in 1999, 1997 and 1984. The 67’s finished with the OHL’s best home record, playing to a 29-3-1-1 record in Ottawa. They won 14 straight at Landsdowne Park from Dec. 28th to Mar. 3rd. The 67’s had great goaltending from the tandem of Cedrick Andree and Michael DiPietro, one that earned the Dave Pinkney Trophy awarded to the team with the fewest goals against during the regular season. 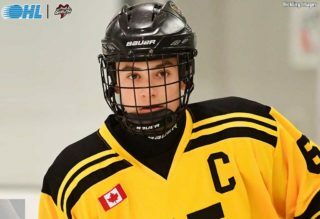 Overage winger Tye Felhaber registered the club’s first 100-point season since 2012, finishing with 59 goals, the most by a 67’s player since Corey Locke scored 63 back in 2002-03. Not to be overlooked, veteran wingman Austen Keating put up 67 assists on the year, the most since Locke’s 67 in 2003-04. Felhaber and Keating each finished with a league-leading plus-56 rating. 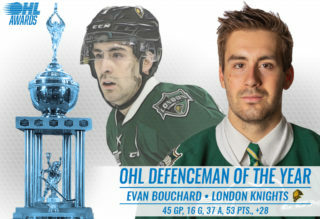 #ICYMI we held our annual Awards Banquet on Monday night to honour all the hard work the players have put in, in the regular season. 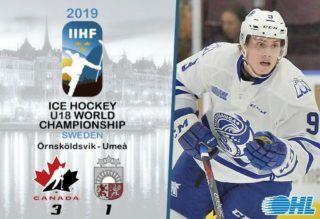 Ottawa had other prominent offensive contributors in San Jose Sharks prospect Sasha Chmelevski who potted 35 goals and 75 points, rookie standout and top 2020 NHL Draft prospect Marco Rossi who put up 65 points (29-36–65) over 53 games as well as overage veterans in 300 career point man Kyle Maksimovich and energetic winger Lucas Chiodo. On the back end, Arizona Coyotes prospect Noel Hoefenmayer had the most productive season by a 67’s blueliner since 2000-01, earning 62 points (16-46–62) over 68 games. 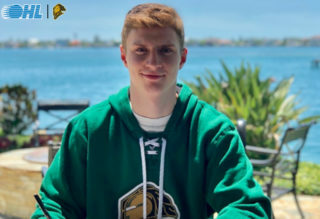 Fellow Coyotes pick Kevin Bahl, who recently signed an entry level deal with the club, finished the year with 34 points (6-28–34) and a plus-50 rating. 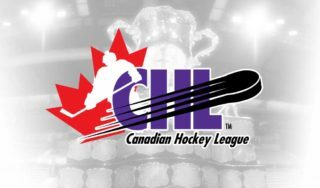 Head coach André Tourigny’s 67’s prepare for a first round matchup with the defending OHL champion Hamilton Bulldogs that gets underway Friday on home ice.